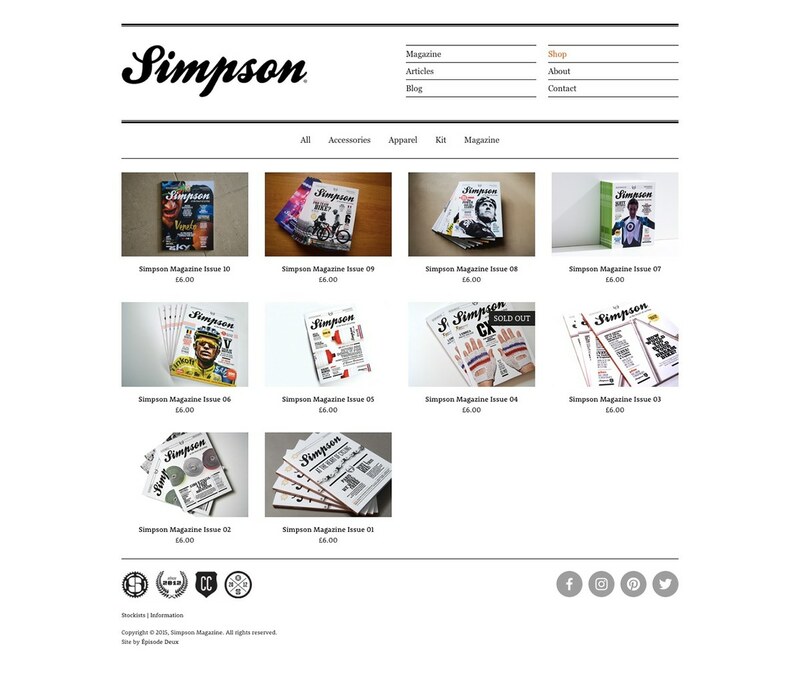 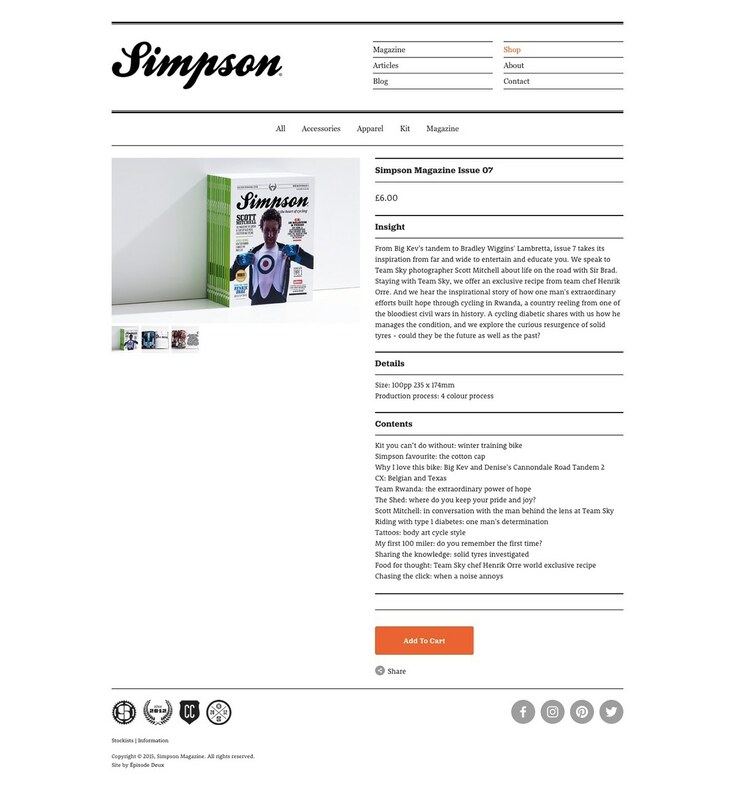 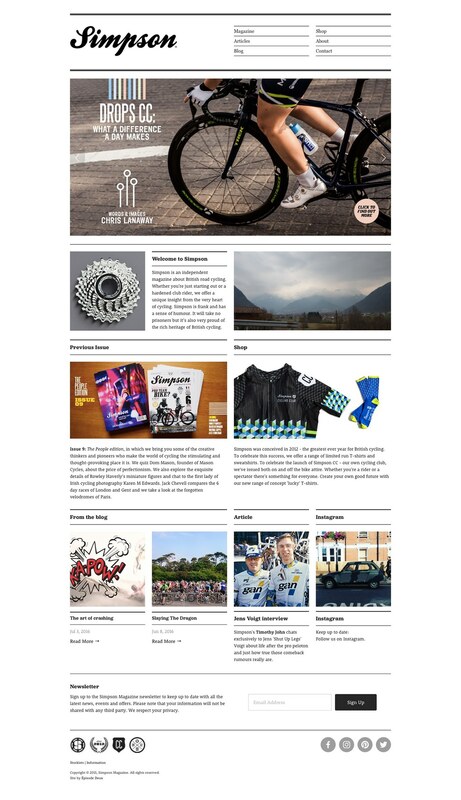 Designed by site owner Terry Hawes with additional input from A Printer's Son, Simpson is a magazine about British road cycling. 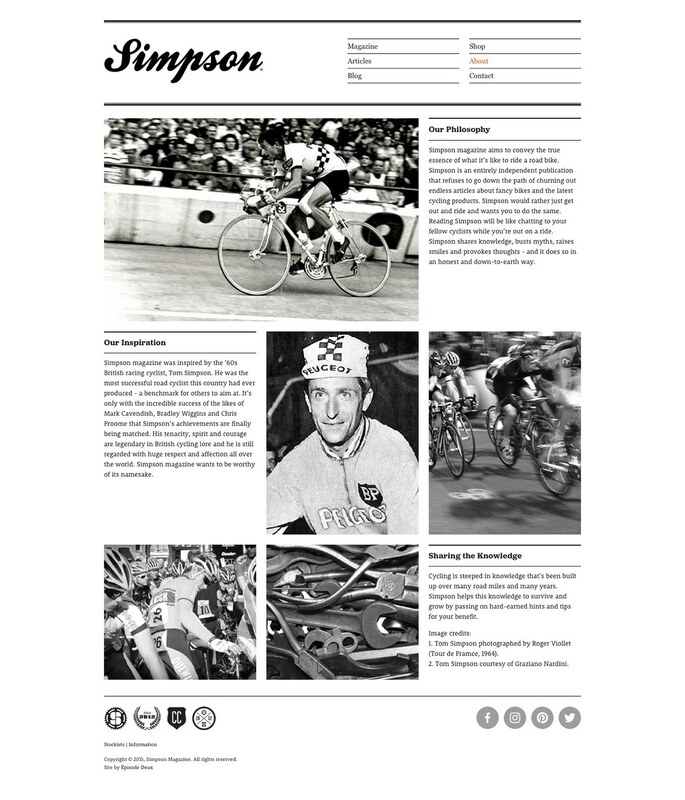 Whether you're just starting out or a hardened club rider, Simpson offers a unique perspective from the very heart of cycling. 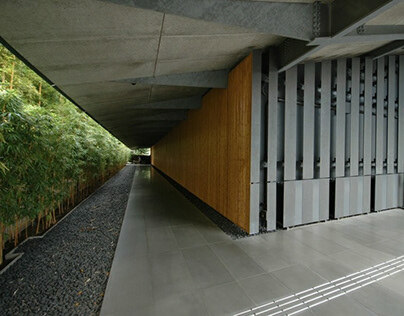 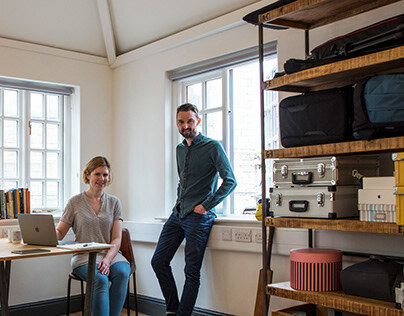 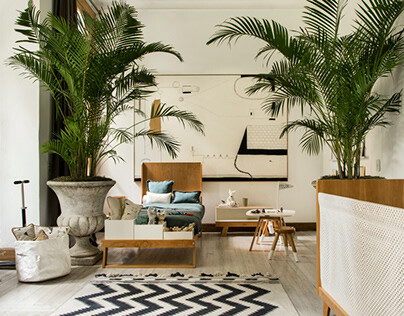 Co-Designer and developed on the Squarespace platform by A Printer's Son.